If you haven’t been here before, welcome to my three-monthly online passive income and business report. 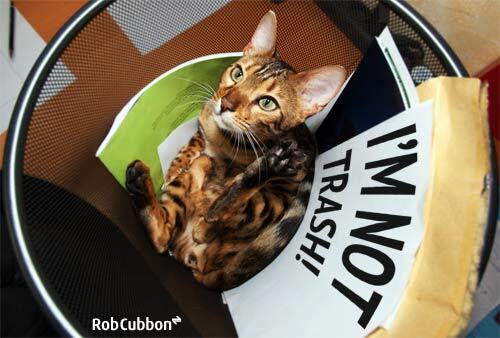 Why you’d want to put a cat in a rubbish bin and take a photo, I’ll never know. I got this image from RGBstock. No animals were hurt in the making of this income report. Regular readers of my blog will know I have a Tim Ferriss-like interest in passive income. I still spend time swapping hours for dollars, working for clients building websites, etc., but I love making money from products, affiliate commissions, advertising, etc. This is passive income – money you can earn in your sleep. The market-leading online learning platform Udemy is my biggest passive earner. I now have 9 courses there and plans for many more. I published a new premium course there recently called Designing A Website in Photoshop, Illustrator (& GIMP) – my promotions for this course account for some of the earnings. All the above links will give you a nice little discount. Over the last three months my Udemy courses have brought in $4777.50. If you’re interested in Udemy, here’s an article on how to sell video courses with Udemy. Also this month, I published my third Kindle, a semi-autobiographical booklet entitled From Freelancer to Entrepreneur: How changing my life created my business and, again, I have plans to publish more. Here are my Kindles in chronological order. Not many people make a full time living from Kindles – but I love self-publishing. Amazon gives you the exact figures two weeks late so I’m going to under-estimate this year’s first three months earnings from Amazon: (let’s call it) $600. I put the price of these from $24 down to $9 as my Kindle e-books with a similar word-count are on Amazon for $2.99. At last these are moving in the right direction. This always seems more than what Google tells me in the Adsense backend and YouTube Channel Analytics. I’m getting bigger transfers from Google to my business bank account and so I’m not complaining. I think more of it comes from my YouTube channel than the unobtrusive ads here, but it’s hard to tell. Total income from Google this quarter: $561.89. Still not very much but … whatever. My strategy with affiliate sales is to promote or, more accurately, to mention products I like and link to them with an affiliate link. Here is a breakdown of my affiliate revenue. As you can see, it was an OK quarter for affiliate sales. Particularly good for WPML – the WordPress Multi-Lingual plugin videos I have on YouTube are doing that. It could go down next quarter as it all depends on when I receive the payments. All together the Udemy income along with the e-books’ sales, the Google income, Kindle sales and the affiliate commissions brought in $7215.82 in passive revenue in Q1 2014. It’s my best quarter ever (see below). However, I’m going to have to up my game if I’m going to make my annual target of $50,000. I’m going to start with trying to get over $2000 from Udemy every month. Well, moving in the right direction but I’m not about to buy a caribbean island. As you can see, I exceeded my passive income target but missed my visitor targets. The organic traffic continues to drop. I’m not too concerned about this as I have posts that do very well towards the end of the year and this explains some of the decrease in my site’s visitor numbers. Not very imaginative. I’ll do better next time. These are a bit of a waste of time but I keep doing them. My email list subscribers have gone down because I deleted hundreds of old addresses that hadn’t opened in a year. January and February have never been my favorite months here in the UK. This year I was struggling to get back to my previous level of physical exercise after breaking my arm last year. Added to this I seemed to get more than my fair share of coughs and colds. I’m still not there yet and I haven’t got full movement back to my arm but things are getting better. I hereby declare that I’ll spend most of January and February 2015 out of this country! I’ve kept up my meditation, tai chi and running levels more-or-less. I’m going to have to work at these in the coming months to make sure I don’t let it slip. I hope you enjoyed this passive income and goal report. It may have been the best financially but, in terms of goal-setting and personal progress, I feel there’s still lots to be done. I will continue to work on this. How are you achieving your business and personal goals? Does this report help you or give you any ideas? Thanks for sharing the report Rob. Not many people online has the will to share their business logics. Looking forward to learn more from you throughout this year too. Great report. It’s always interesting to see how others are doing. I had a look at some of your ebooks, they seem to be doing great. Wish you the best. As far as ebooks are concerned, fiction seems to do better. There is a demand for erotica, thrillers and that sort of stuff but then not everyone is a fiction writer. I had a question. I was wondering if it would be a good idea to sell my books (on KDP) from my own site too? Hey Shalu, I’m glad this report may have helped you in some way. I think you are probably doing better on Kindle than me, Shalu! I never sell more than 10 a day. Yes, if your books aren’t on KDP Select and your website gets a following then you could sell them from your site. Why not? You could add extra images and bonuses to sell them at a higher price. You may sell less than on Amazon but you’ll make far more per unit. Hi Mark, yes, languages are quite big on Udemy. There are Japanese courses on there but they don’t seem to be doing very well. With Udemy, it’s best to have a website and a YouTube channel to create an audience first to get some sort of momentum when you launch a new course. Interesting to see what income streams you are using and benefiting from Rob. Really helps us up and comers :> much appreciated. I know plenty of people have tried Udemy and Kindle – and affiliate stuff – on the back of these, Ashley. Happy to continue if it helps. Your updated earning sparks up an inspiration in believing on the possibility of making sustainable income online. Can you kindly check and advise on what to do on my blog ( its just 6 month old) and not bringing in any income at the moment, despite my monetization techniques applied. Hi James, thank you for your comment. Your blog looks very good and you are posting regularly. Maybe you have too many affiliate links in the sidebar and you’re writing about too many different tools and themes in one post and you should hone in one just a few that you find are the best and most useful? Hey Rob, this is so inspiring man. Congratulations on all your achievementes and I have zero doubts you’re going to hit all your targets on this next quarter! Excellent and insightful write up Rob. Great to see you so open about sharing your stats. Congrats on the income. These quarterly goals are so important. Alex, I don’t know if you’ve commented here before but a pleasure to see you here and thank you! I do like to keep setting goals, although this quarter they weren’t so imaginative, so they’ll be better next time. Thanks for sharing Rob. It shows if you put your mind to it, you can achieve great things even while you sleep. Well done on your income steams and keep pushing onwards. Haha, indeed. Thank you, Mark. 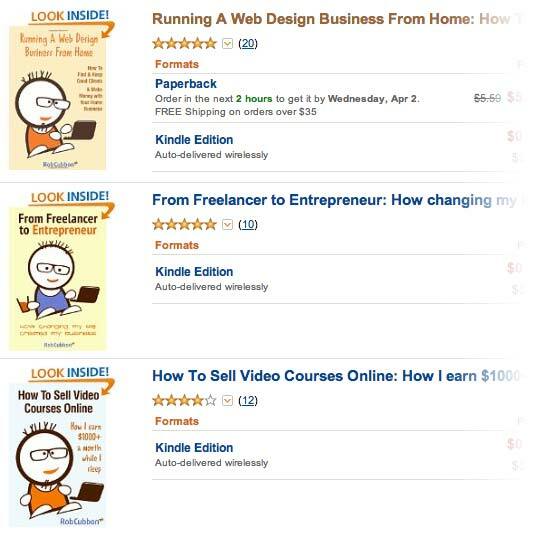 I think you should do some basic SEO for your Udemy courses so you could sell more. I’ve found that Udemy courses rank really well. Thank you, Rahat. Your course looks like it’s doing well on Udemy. I might shoot you an email about Udemy SEO in the next few days! Thank you, Erin. How’s your Udemy course doing? Yes, I think having a few more courses there won’t hurt. And getting the right course subjects that are in demand is important. We’re lucky though, design stuff does quite well. Have you tried Skillfeed as well? Thank you, Robb! I am really happy that you were able profit even higher than your set target for the quarter. Pls, don’t relent. Always remember you inspire someone like me. Secretly, I have been following your blog. Thanks for being so down to earth! Thanks for this. Very helpful and realistic. I’ve been getting your emails, but had only now looked in at you. I’m a little confused as to what you do. You seem to give away a lot of what you know. That is not what happens on the Internet. Most incoming unsoliciated email is trying to get over on the receiver. Could it be that you are different. I would like to know. I like to give away what I know. I don’t make most of my income through my email lists or through internet marketing so maybe I’m different in that way. However, there are lots of other people who give away great information through their email lists for nothing, Pat Flynn, Steve Scott and Alex Mathers above, spring to mind. Rob, I’m 88 years old and still in there pitching. Some years after I was semi-retired at 65, I took a big financial hit and almost lost all that I had worked for all those years. I managed to hold onto enough to have a retirement home in New Jersey and a retirement winter home in Florida. I just manage to keep my lifestyle going. I still have one small business which keeps my eleven employees working but little profit for me. At present, I’m a consultant for a drug treatment program in Florida which I enjoy doing. Computers and computer programming intrigue me. I’m always learning and hope to learn a lot from you. Hey Hal, it’s so interesting to find out what the visitors to this site are doing. Quite a mixed bag, I can tell you. Best of luck with everything you do and, if you have any questions about any of this, feel free to ask me. Sorry we had you down as anonymous there’s a little bug on this site that loses your name when you come back and leave a second comment. I’ll try to fix it soon. All the best, Rob. Hi Rob can you written how to set goal I have search your article but not find any article how we can set goal if you publish how we can set goal its really help. Good question, Chandan, I’ve never really written about goals. Just make sure they are achievable and time-based. So, “I will make over $2000 from Udemy this month”, for example. Push yourself but be realistic. And make sure not all your goals are about making money for yourself. Have some goals to help other people. WOW that’s really amazing figure @rob. Great to see you doing quite.well. Congratulation. I am very impressed with your udemy and kindl approaches and results. Hello Rob you did not include your web design work income I mean Consulting income?